Sandra Brückner, Pokeshot’s chief product officer, talked with Avnet’s digital marketing manager for the Americas, Pete Rendek, about how the company uses the Jive-embedded SmartherPath social learning solution. Together, they looked at which use cases are possible in Jive and how SmartherPath can help implement these. Other topics included why Avnet chose SmartherPath and what new features they would like to see. The primary use case for the Jive-based Knowledge Network community at Avnet is the onboarding and enablement of the many solution provider partners that Avnet serves. Training and enablement of sales representatives via Jive’s social collaboration platform is essential to rapidly spread information and knowledge throughout the community. New sales staff need to be able to access sales training materials and marketing information on the platform from the office or on mobile devices. Avnet’s goal is to leverage the most up-to-date content to train its sales representatives quickly and effectively. Avnet searched for a solution in Jive that was lightweight, easy to use, and quickly comprehensible. “During this process we learned about the SmartherPath solution.We also looked a number of other products, but what we liked about SmarterPath was that it is very well integrated in Jive, is easy for our customers to use, and meets all of our requirements while offering the potential for future feature sets,” Pete added. Avnet uses SmarterPath to prepare training materials in Jive, and takes advantage of the variety of possible formats. “We have a lot of SCORM-based training programs, which we incorporate into SmarterPath and the reporting in SmarterPath helps us with validation of course completion,” Pete said. SmarterPath supports primarily the onboarding and enablement use cases. For example, it makes it possible to assign groups to specific training courses. 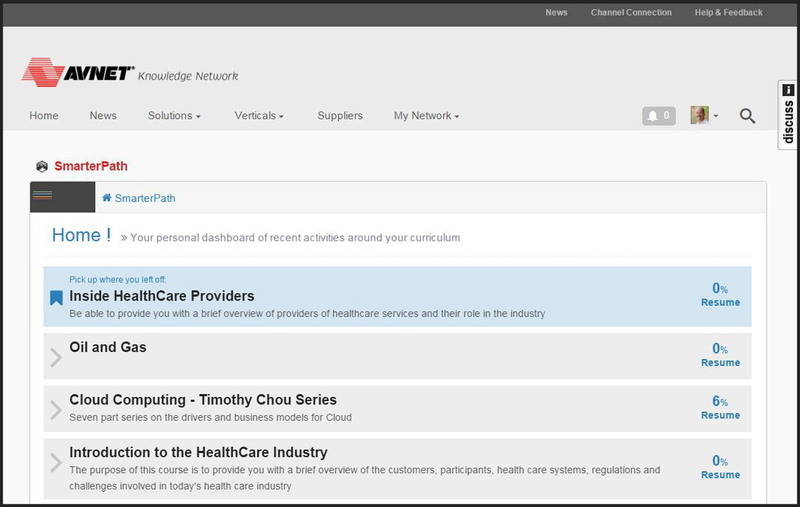 On the EnablementPath, users find courses tailored to their particular role within the company, which they can complete one after the other. SmarterPath’s road map has gamification integration slated for completion in 2016. 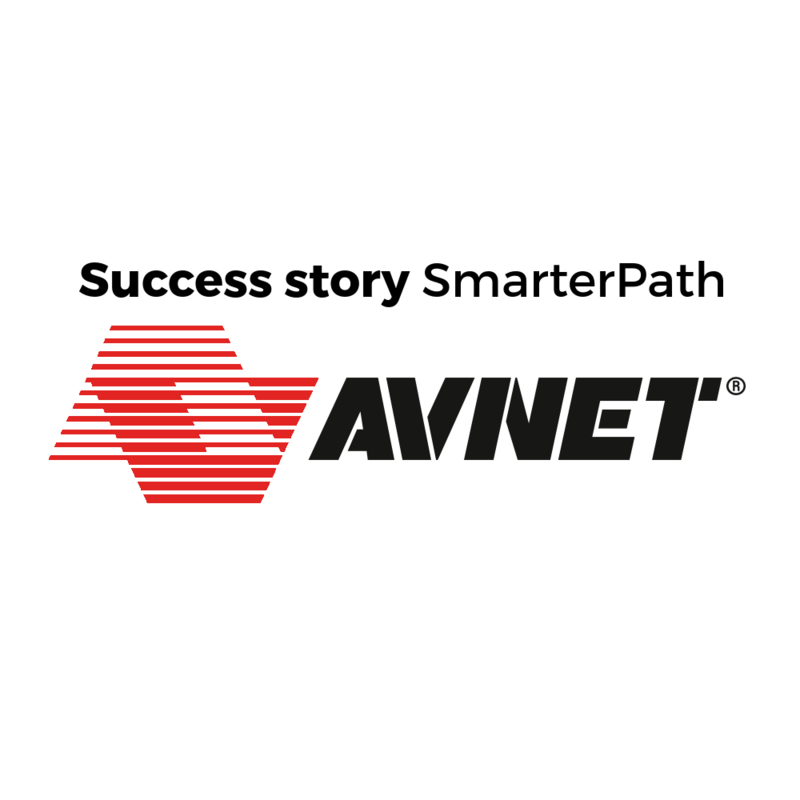 Avnet selected the SmarterPath solution because it provides a simple way to offer courses in Jive and track the learning progress of its community members. Another decisive factor in their decision was SmarterPath’s ability to support enablement and onboarding uses cases. 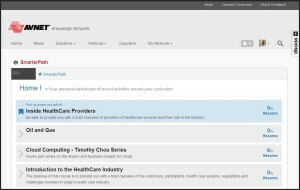 Avnet launched its Knowledge Network community in November 2015, and Pokeshot is providing assistance with any user questions related to SmarterPath. I would like to thank Pete for sharing his comments and feedback regarding SmarterPath.